Fenofibrate Tablets USP, 54mg and 160mg have an estimated market size of US$92mn for twelve months ending December 2018 according to IQVIA, the company added. Alembic Pharmaceuticals announced that its wholly owned step down subsidiary Orit Laboratories LLC has received approval from the USFDA for its ANDA Fenofibrate Tablets USP, 54mg and 160mg. The approved ANDA is therapeutically equivalent to the reference listed drug product (RLD) Tricor Tablets, 54mg and 160mg, of AbbVie Inc. (AbbVie), as per BSE filing. 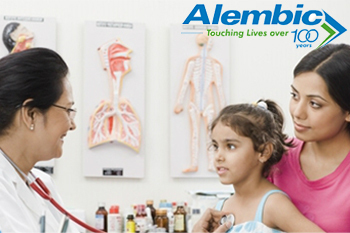 Alembic has a cumulative total of 85 ANDA approvals (72 final approvals and 13 tentative approvals) from USFDA. Fenofibrate Tablets USP, 54mg and 160mg are indicated as an adjunct to diet to reduce elevated LDL-C, Total-C, TG and Apo B, and to increase HDL-C in adult patients with primary hypercholesterolemia or mixed dyslipidaemia and for treatment of adult patients with severe hypertriglyceridemia.